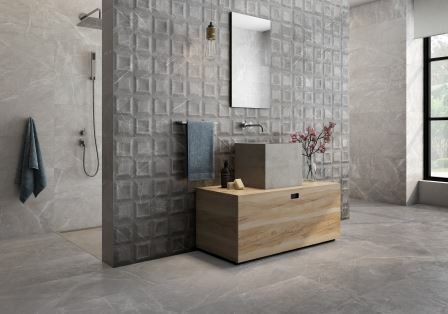 CEVISAMA, the International Fair for Ceramic Tiles and Bathroom Furnishings, recently held its 36th edition from February 5-9, 2018 at the Feria Valencia center in Valencia, Spain. 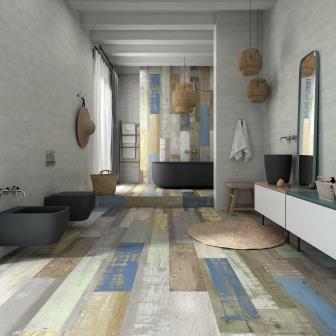 A total 506 Spanish exhibitors showcased their latest products and innovations during Cevisama to a record number of over 83,000 industry professionals from more than 65 countries, according to organizers. 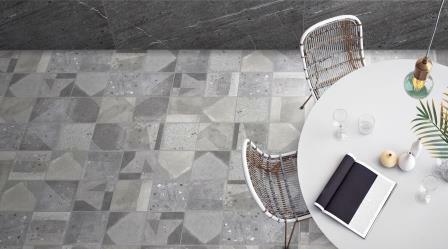 Ceracasa: With eight different decorative tiles in one grey color, the Retro Collection lives up to its name. 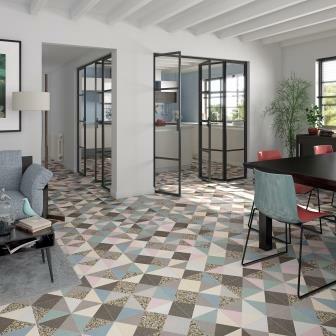 The geometric inspired flat patterned porcelain tiles feature a matte finish and are available in a 15x15cm size format. 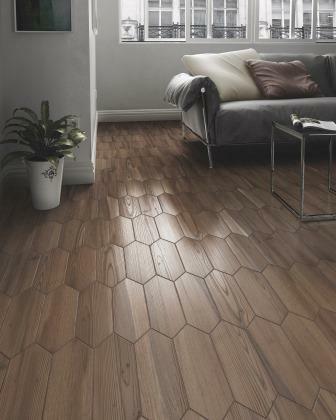 The collection is both stain and moisture resistant and is easy to clean, making it an ideal choice for any room. 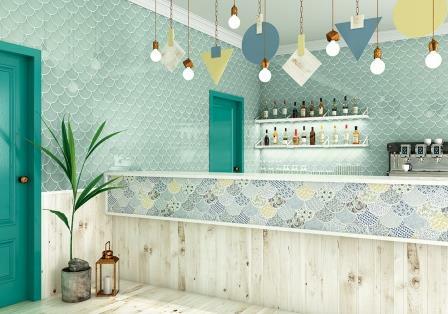 Cevica: The Jazz Collection re-creates traditional Moroccan-inspired fish scale tiles with softer tones and delicate designs. 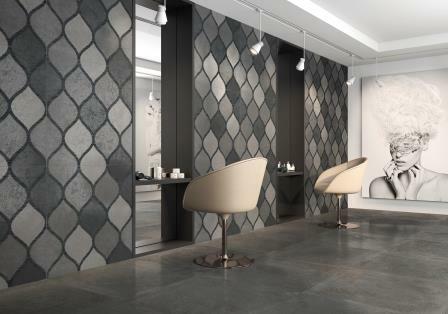 The new wall tiles allow for creative design opportunities with seven plain colors and 13 different designs which can be ordered in a single color/pattern or as a mix. 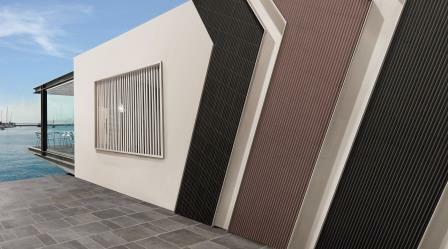 Dune: Various patterns and colors come to life with the mix and match style of the Minimal Chic Collection. The elementary geometry of the shapes and the neutral colors are the basis for variety of decorations. 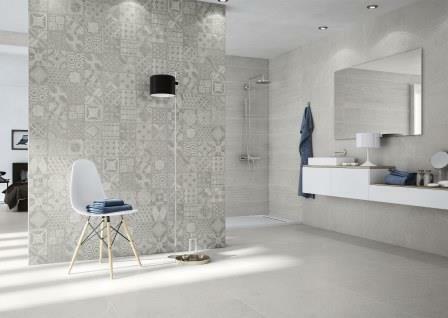 The collection is composed of two series: Emporio, a marbling finish; and Factory, a cement finish. 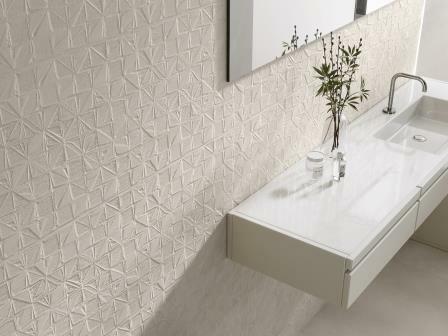 Equipe Ceramicas: Triangular shapes add decorative style to interior walls with the Magical3 Collection. 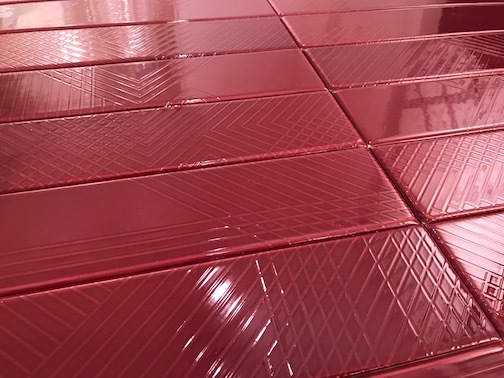 The waterproof geometric tiles are available in 11 different colors and feature a slightly raised relief detail on two sides for a unique texture. 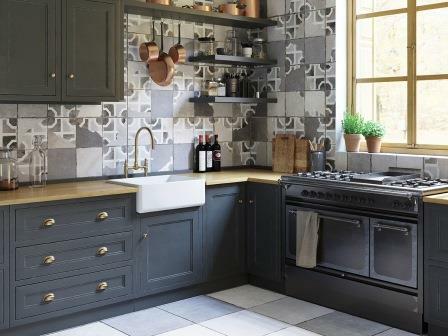 Estudio Ceramico: Available in 12 colors and a non-rectified format, the Bohemia Collection plays on traditional subway tiles and creates a more lived-in look for kitchen and bathroom walls. 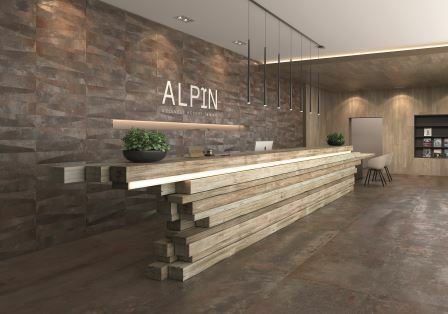 The 5”x10” size format allows for creative installation beyond the traditional horizontal pattern. 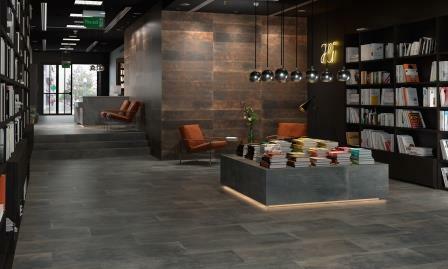 Fanal Ceramicas: Deep shade variations with a metal effect finish, the Planet Collection provides an industrial look in its five earth-toned colors and two size options that are ideal for both walls and floors. 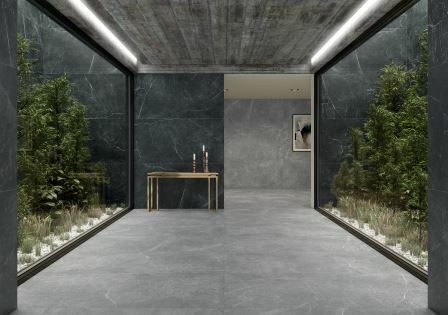 The semi-polished surface catches the eye by alternating between glazed and matte spots. 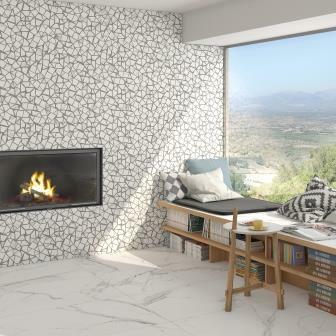 Roca Ceramica: Rectified with a high gloss finish, the Marble Pulpis collection imitates the delicate lines and indisputable elegance of marble. 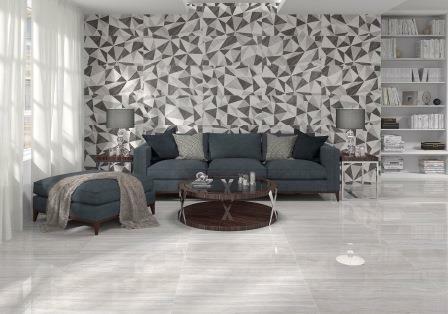 Available in two natural colors, Gris and Vision, and a 12”x36” size format that makes a sophisticated impact in any room. 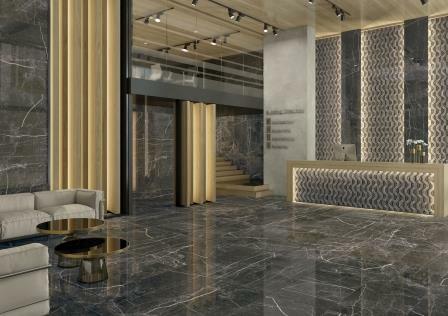 Tau Ceramica: Combining design and advanced cooking technology, ASCALE by TAU slabs with TPB tech® technology enables induction cooking directly on the porcelain surface. The partnership with TPB Tech eliminates the need for a tradition glass-ceramic induction cook top, making it possible to prep, cook and eat in a single space. 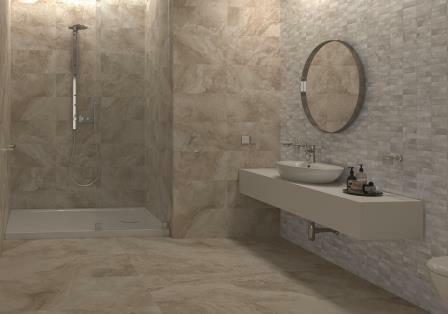 For more about tile produced in Spain, contact Tile of Spain Center at the Trade Commission of Spain by calling (305) 446-4387; or visit www.tileofspainusa.com.